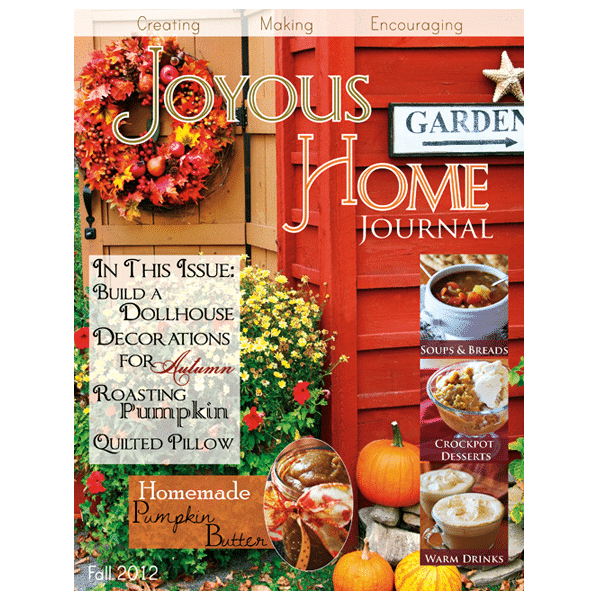 The Fall Joyous Home Journal: Comfort foods and beautiful ideas for fall decorating! Fall Issue: Beautiful ideas for Fall decorating! Make a burlap cornucopia, decorating with dried beans, a burlap table runner, napkin ring conversation starter, and a table setting. Plus, learn the “Y” seam technique to make a beautiful quilted pillow! Fathers can build a wonderful dollhouse project. Lots of step-by-step photos to show you how to build this simple wooden dollhouse. Fall in the kitchen ~ Recipes for delicious soups! Split pea, beef vegetable, and creamy Italian potato soup. Delicious bread includes Foccacia Bread, Parmesan Pepper Rolls, Cheddar Cheese Biscuits, and Olive Bread. Crockpot desserts, such as our gooey hot fudge pudding cake and butterscotch pumpkin cake. Warm drinks for chilly days! Try homemade versions of some coffeehouse favorites such as pumpkin spice latte and salted caramel latte. You must try the sweet ‘n salty whipped cream! Roast fresh pumpkin from the garden and the make some deliciously spicy pumpkin butter, and more. 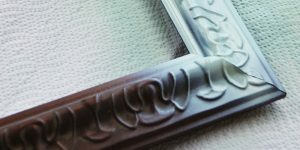 39pg.